Traumatic Brain Injuries are injuries that cause damage to brain tissue. The severity ranges from a concussion (mild) to brain bleeds and axonal injuries (severe). Mild forms of TBI result in minor cell changes in the brain and often are not visible in imaging. More severe TBI may show changes in blood flow, swelling, and noticeable cell death on MRI and/or CT. These injuries often result in cognitive, physical, neurological, and metabolic symptoms. Symptoms of TBI range from mild to severe and are the result of shear forces and blunt trauma to the brain. The severity of brain injury typically dictates initial symptoms. Commonly reported symptoms include cognitive impairment, post-traumatic seizures, dis-coordination of movement, balance disorders, loss of speech, loss of swallowing, and visual changes, to name a few. Other symptoms include fatigue, nausea, vomiting, ringing in the ears, irritability, anxiety, impulsivity, depression, and sensitivities to light, sound, and smell. Traumatic brain injuries (TBIs) are injuries that cause damage to brain tissue. The severity ranges from a concussion to brain bleeds and axonal injuries. Mild forms of TBI result in minor cell changes in the brain and often are not visible in imaging. More severe TBI may show changes in blood flow, swelling, and noticeable cell death on MRI and/or CT. These injuries often result in cognitive, physical, neurological, and metabolic symptoms. There are different grades of TBI, from mild – which includes concussions – to severe, and they are usually defined by how severe the deficits and damage are from an isolated event. TBI severity can be described using several different tools. The Glasgow Coma Scale (GCS), a clinical tool designed to assess coma and impaired consciousness, is one of the most commonly used severity scoring systems. Persons with GCS scores of 3 to 8 are classified with a severe TBI, those with scores of 9 to 12 are classified with a moderate TBI, and those with scores of 13 to 15 are classified with a mild TBI. We require that a patient has minimum GCS of 9 and be off of all life-sustaining devices before booking treatment at Revive. Revive utilizes research-based diagnostics to evaluate function in specific areas of the brain. Looking at eye movements, motor function, sensory function, cranial nerves, cognitive function, balance, and gait allows us to better understand which areas have been affected by the concussion. This allows us to develop a treatment plan that targets those regions and networks to make them stronger and more efficient. We specialize in providing treatment to the neurological regions affected by the mTBI. Offering a unique process that is built to maximize results in a condensed period of time. To reach your personal healthcare goals, it is imperative that your physicians and care providers know your individual story and desires. Your individual goals are the focal point of the comprehensive treatment plan which is based off your exam, diagnostics, and lab results. Beyond the neurological system, there are many factors that can impact the presentation of mTBI: the immune system, diet, sleep, mindset and stress (to list a few). By integrating knowledge of the brain and influence of these factors, we are able to be very specific with targeted therapies which create lasting neurological changes. Your treatment plan is designed specifically for you and your brain’s needs. This plan is executed over 10 days. Patients see measurable improvement during their time in our office and continue to make gains once they leave. To help ensure success on your journey of healing, we create and define a plan for you when you go home. This plan may include sourcing a local specialist for a safe and effective continuum of care. Our goal is to see each patient continue to build upon the initial results they achieved in our office. 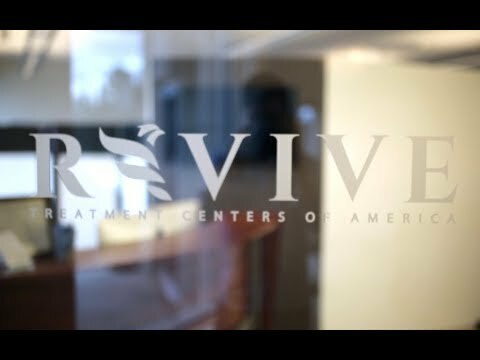 “Revive Treatment Center saved my life! Period. End of story! This was the second brain treatment center I have been to. Before going to Revive, I stayed in the hospital for 25 days with no hope or cure. The only thing I left with from the hospital was 37 different medications that didn’t help at all. When I had the pleasure of being introduced to the wonderful doctors from Revive Treatment Center, it was literally minutes before they were able to start identifying some of my issues. Later, these issues were proven by multiple different test that they performed. I was seen by the best ENT in Texas and was told nothing was wrong with me. Further testing later proved that not to be true. When I first met the doctors, I was in a wheelchair and had a severe case of dizziness that left my total body impaired. Going through their treatment program, and following their advice, brought me to a whole new state of health. Now I’m off all 37 medications, and have been since the beginning of my treatment at Revive and am only taking three vitamins, that help me more than any other medication I’ve ever taken. I’m also no longer in a wheelchair, and am healthier than I’ve ever been.